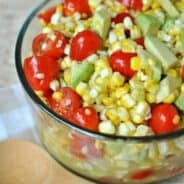 This Roasted Corn Salad recipe was given to me by a neighbor. I’ve made it 4 times in the past two weeks, it’s that good! 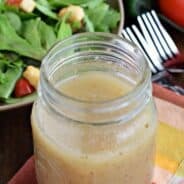 The honey-lime dressing gives a touch of sweetness to the veggies! I love hanging out with our friends. It’s seriously where I get so many of my recipes. I’m often asked where I get inspiration, and I gotta be honest. My friends. A couple weeks ago my friend Kari had this salad at one of our get togethers. When I googled the recipe the next day (because I forgot to write the ingredients down) it turns out there are about a thousand versions of this. I’ve yet to figure out where it FIRST came from. For now, just know this salad will knock your socks off. Seriously. The roasted corn. The tomatoes. The avocados. And if those three ingredients aren’t enough to convince you to make this, the sweet honey lime dressing is awesome! Having made this several times in the past two weeks, I’ve got to tell you something. Roasting the corn is worth the extra step. I’ve made it with canned corn, frozen corn, and roasted corn. I prefer to eat it in this order: roasted, canned, frozen. In case you were wondering. I’m sure one of you was going to ask. Admit it. Roasting the corn only takes a few minutes on the grill. You can definitely cook up a few extra ears of corn at dinner, freeze them for later to make this salad. Now, I’m off to enjoy a few cocktails. Made with bananas and Bailey’s. Yeah, that recipe will be coming soon too! Remove husks from fresh sweet corn. Grill over high heat, turning frequently, until grill marks are even on entire ear of corn. About 4-5 minutes. Remove corn from cob with a knife. Add to a medium bowl. Combine with avocado and cherry tomatoes. In a small mason jar (or bowl, or cup) combine honey, lime, salt and pepper. Whisk until blended. Pour over salad. Best served immediately! 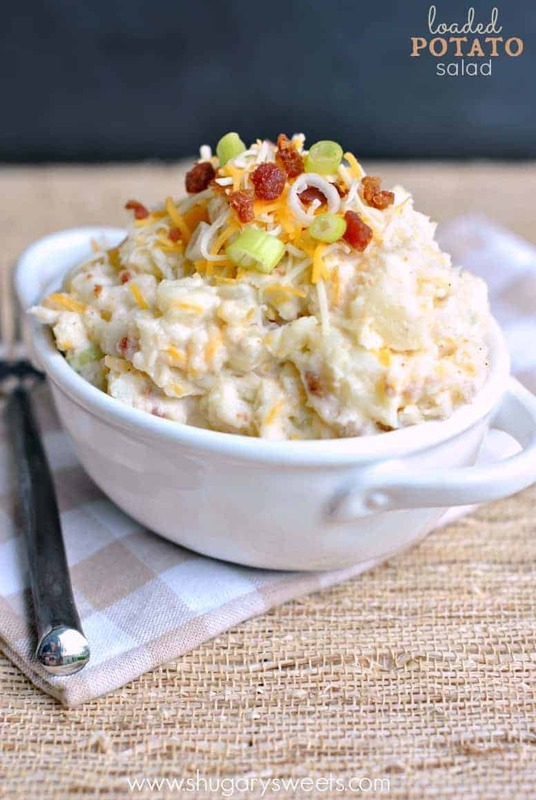 Loaded Baked Potato Salad: easy to make, and a definite crowd pleaser! 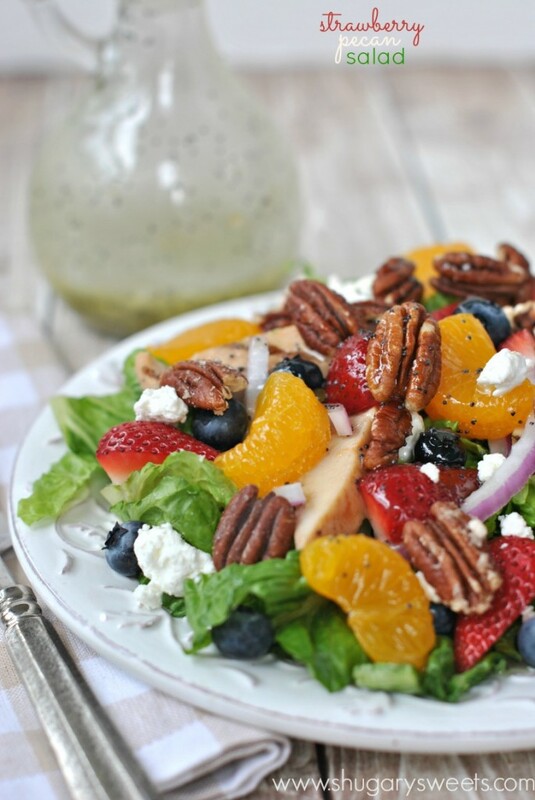 Strawberry Pecan Salad with grilled chicken. We call this a healthy meal at our house! Take the chicken out and it’s just a delicious side salad! 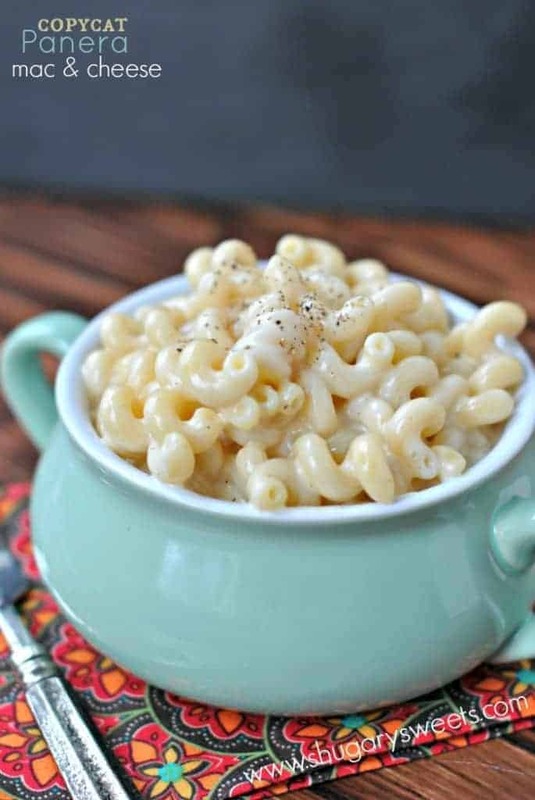 Copycat Panera Mac and Cheese: one of my favorite, easy recipes to serve with any dinner. Made on the stovetop! We have some great corn right now in Buffalo and this dish is a great way to utilize it! If you’ve made four times in the past two weeks it must be good I have to be make this! And now I wish I had more corn, because I would totally make another bowl. It’s that good. Perfect cook-out side dish!! So pretty. This looks so summery and refreshing. There’s seriously nothing like roasted corn in the summer! I love sweet corn. This looks like a new delicious way to enjoy it. This looks delicious Aimee! 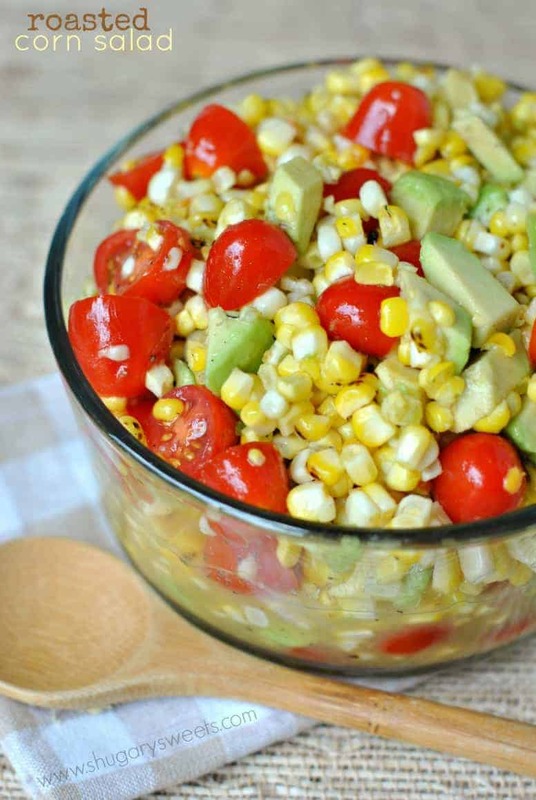 I love me some roasted corn and I love this recipe for lunch throughout the week! Aimee, this would be a huge hit in my house! I love using fresh corn. 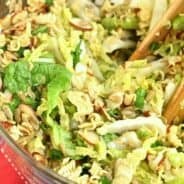 This salad looks so delicious and light. Love a good roasted corn salsa! Perfect for the grilling season! Greetings via stumbled upon. 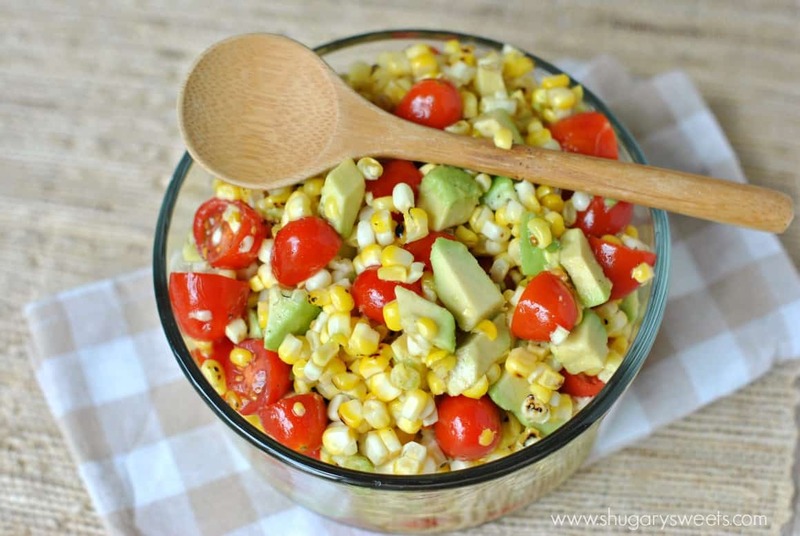 I love roasted corn so I really like this salad. Will try it. What a lovely salad for summer! It looks so light and refreshing….. yum! 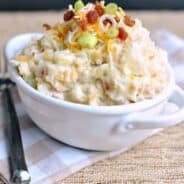 Love the combination of flavors in this recipe! Very timely with local corn rolling in around here. Honey! I would have never thought to put honey in a corn salad! I’m totally going to try this! Oh you’re going to be shocked how good this is!! Looks yummy salad!! Thank you. 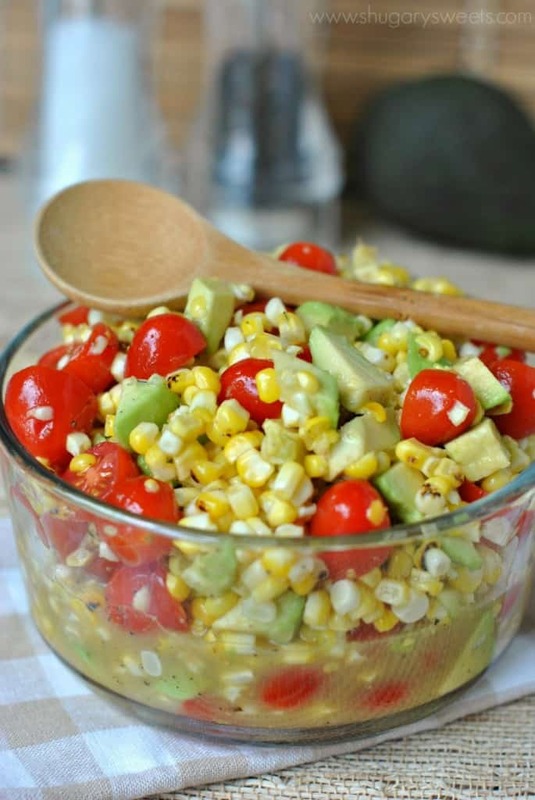 Lovely corn salad!! Thank you so much!! Looks DELISH, but how much canned corn if you must use it instead of roasted?